Seth Gunderson :: There's no one named "Lady Antebellum?" 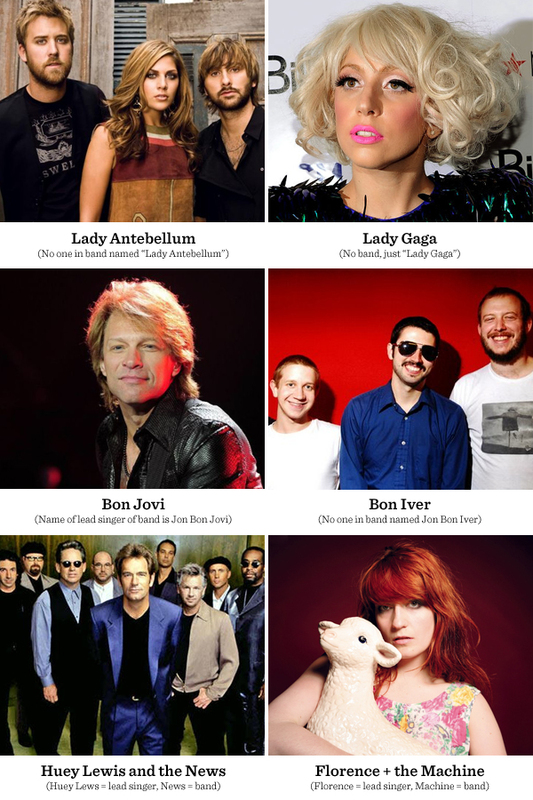 There's no one named "Lady Antebellum?" The other day I was informed that there is no one named "Lady Antebellum" in the band Lady Antebellum. Which makes me think we need a little conformity when naming bands, please.